Well, snow is here now. When this happens I always think "alright, summer's over". Which it is. But then I'm not giving Fall the respect it deserves. Sometimes I think that September to November might be my favourite time of year. Sweaters are comfy to wear, a mug of hot coffee feels and tastes better, you don't have to worry about being too hot at night and you don't have a heating bill to pay. But definitely, one of the best things about the Fall is the change in colours of the leaves and how the sunlight is just a little bit lower and gives you amazing opportunities for photowalks. 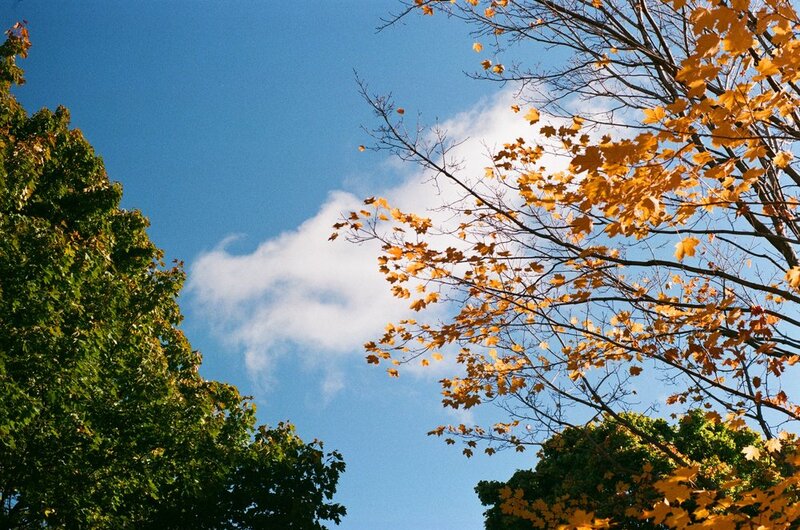 These are some of my favourite shots from the last few rolls of film I took in September/October.